When Lucky tried to cross a busy road in Sofia. He didn’t make it across and was hit by a car. Nobody stopped, he was doomed to be left there in agony, alone to die. The accident was seen by a caring gentlemen 4 to 5 cars back. He decided to help Lucky. Together with another man he managed to pick Lucky up and take him off the road. 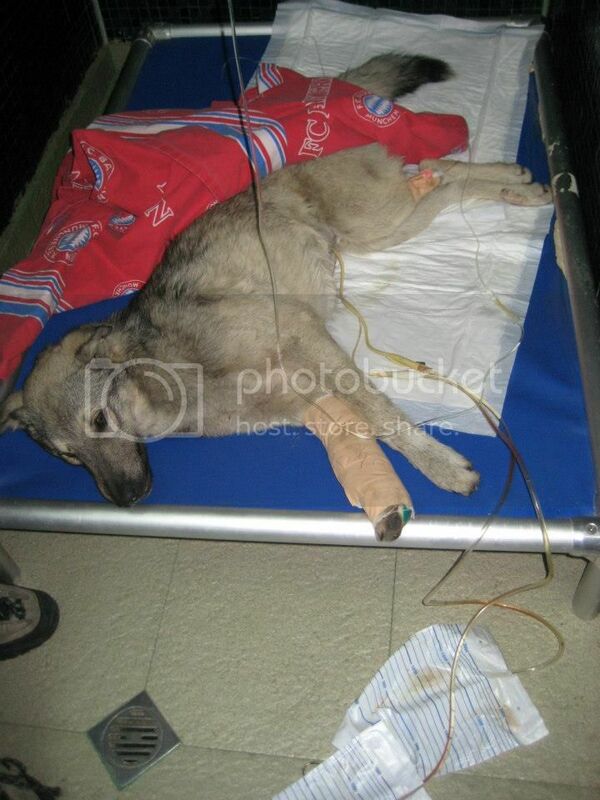 He was taken to an Orthopaedic Clinic and the gentleman posted on the social networks for help. 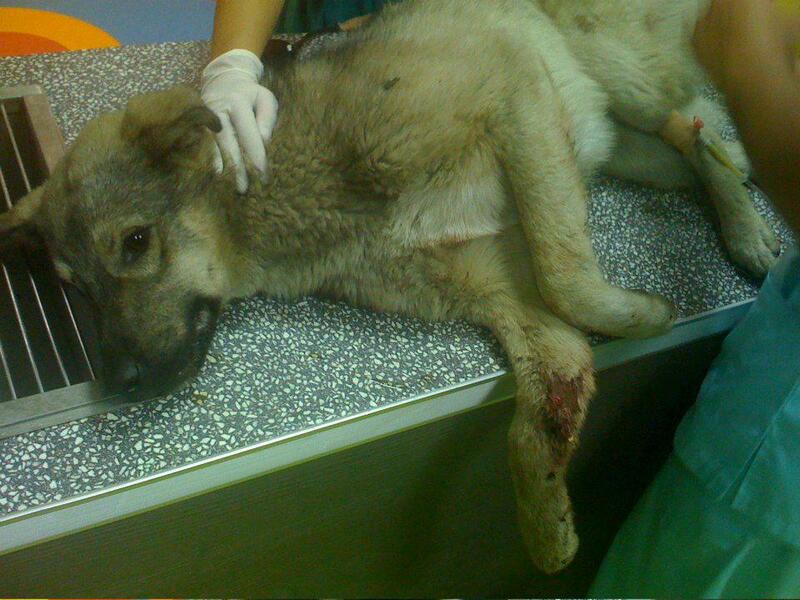 We could not ignore this puppy’s plight and offered to help. – Rupture of the bladder. – Open fracture of the right front leg. – Articular fracture of the left front leg. – Fracture of the femoral head on the right hind leg. – Non-dislocated fracture of lumbar vertebra without severe compression of the spinal cord, and without the need for surgery. 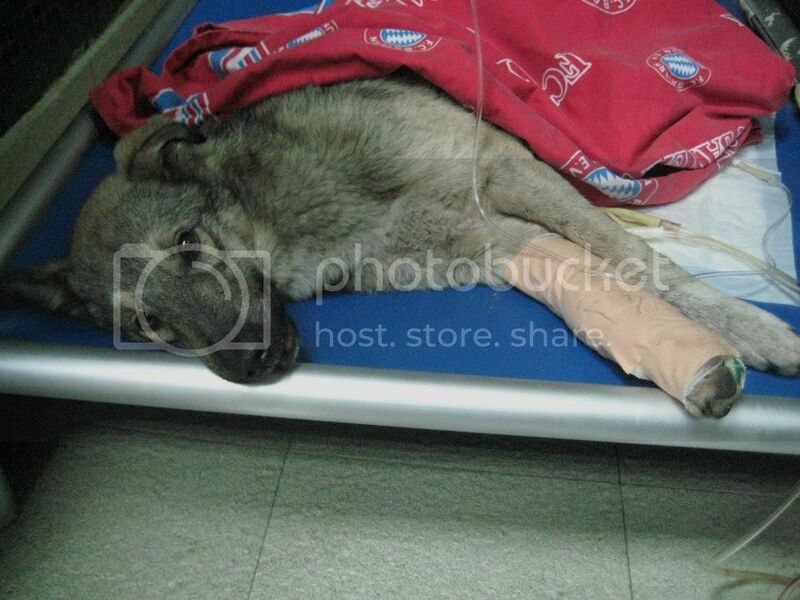 Lucky is in a critical condition with extremely severe and multiple injuries. 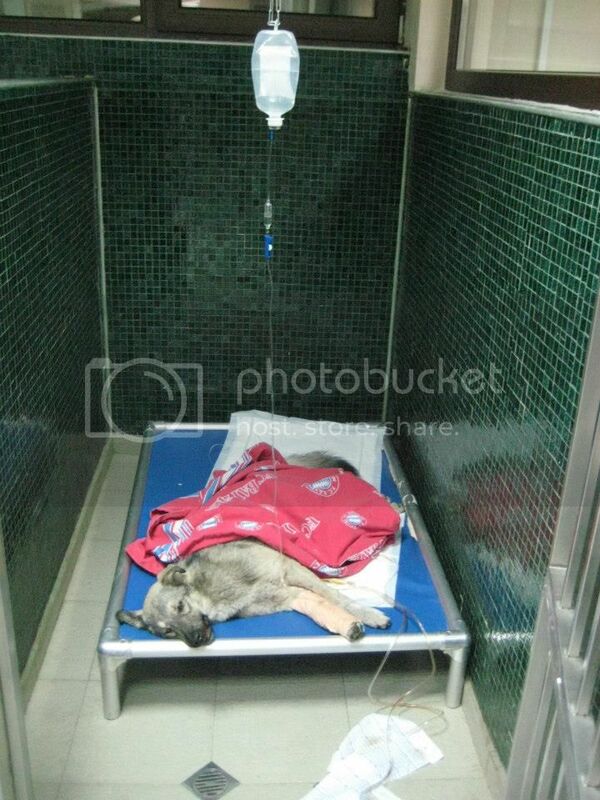 He is depending on us, he is a little fighter and wants to live….. So far his emergency vet bill has reached 575 leva/ $380. The vets have estimated the medical costs for his next operations to be 875 leva/ $576 plus 55 leva/ $36 per day kennel charges. Please help us put this baby back together, for us to be able to save Lucky and make him well we need to raise his medical costs URGENTLY. Thank you in advance from Lucky and K9 Rescue.